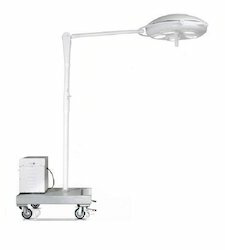 Our range of products include philips s50 mobile surgical operation light, philips standard mobile operation light and philips m75 twin dome surgical light. 5 in 1 Slim Single Dome. Mounted on castors for easy movements. 4 in 1 Single Dome. Field depth 600 mm & Field Dia. 200 mm. Focusing arrangement by Sterilizable Handle. 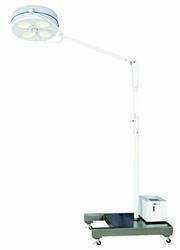 Light Output - 70,000 Lux. 12 V 50 W Halogen Bulbs / Variable Intensity Control Unit. Ceiling Mounted 7 in 1 5 in 1 Slim Double Domes. Drift Free Spring Arm Control. Light Out Put – 1,35,000 Lux 90,000 Lux. 12 V 50 W Halogen Bulbs / Variable Intensity Control.